After the rush and the bustle around town, what better way to relax than a day tour to a luxurious natural resort spa and onsen? 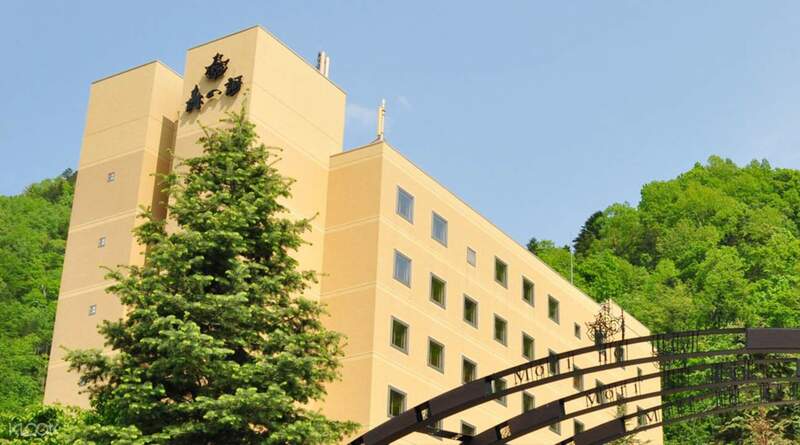 You'll depart from Sapporo Station to head to the famous Jozankei Tsuruga Resort Spa Mori No Uta. The name, which means Sonnet of the Forest, is perfect for this gorgeous location nestled in the lush Hokkaido forests. The spa resort has top of the line facilities, from massage rooms to saunas, buffet dining, and even a restaurant. 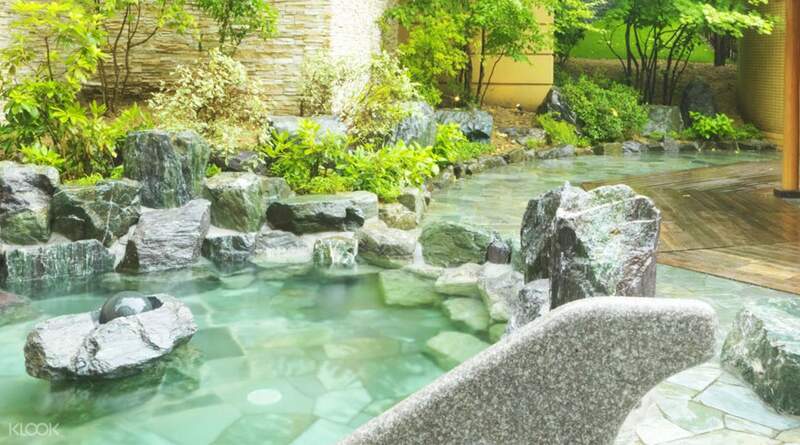 But the most well known feature of this spa resort is the famous onsen or hot springs. 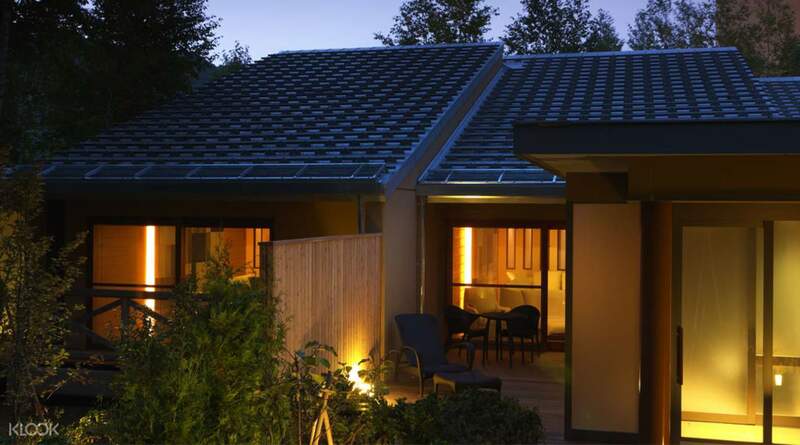 The outdoor traditional Japanese onsen is surrounded by the dense forests of Hokkaido. Sink into its naturally heated waters and take in the rejuvenating atmosphere of nature and feel the stress just slide away. After you've enjoyed the spa's facilities to your heart's content, meet up with the rest of your group at the bus stop and head safely back to Sapporo refreshed and ready for another day of travel. Very relaxing and unique experience! I got to experience an onsen outside while seeing so much snow. The snow was colder than usual that day. The resort is nice too! The buffet has nice selection of western and asian food, and the facilities are well maintained. There was even a harp player when I went. Would recommend to others. Very relaxing and unique experience! I got to experience an onsen outside while seeing so much snow. The snow was colder than usual that day. The resort is nice too! 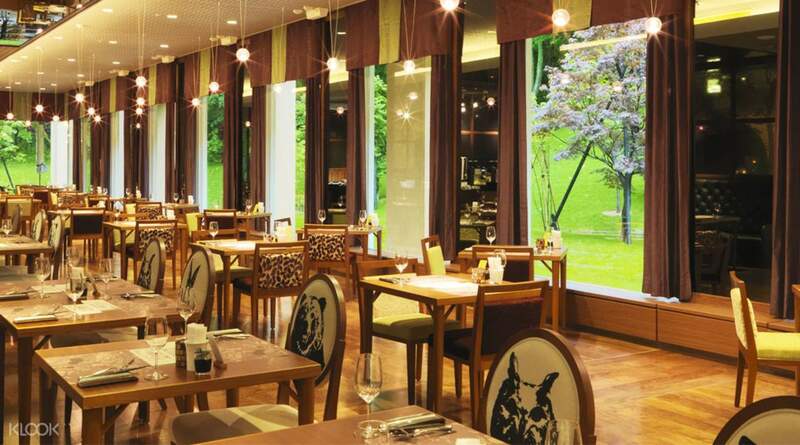 The buffet has nice selection of western and asian food, and the facilities are well maintained. There was even a harp player when I went. Would recommend to others. I enjoyed the experience. May I suggest that the waiting area will be at the 2nd Floor of the ESTA building and not on the platform considering that its cold in the open area. The buffet at Mori was very good with one drink of my choice. The soft ice cream is also the best. The onsen experience was worth it. However, the bus that I took didn’t bring me back to Sapporo Station but to Makomanai Station. I enjoyed the experience. May I suggest that the waiting area will be at the 2nd Floor of the ESTA building and not on the platform considering that its cold in the open area. The buffet at Mori was very good with one drink of my choice. The soft ice cream is also the best. The onsen experience was worth it. However, the bus that I took didn’t bring me back to Sapporo Station but to Makomanai Station. This is an experience that everyone visiting sapporo for more than 3 days, MUST do ! Real value for money as the price covers bus tickets, a wonderful onsen experience in the outdoors and an awesome japanese buffet. The winter views at the onsen is incredible, and there are also japanese ladies who take the snow to massage their face and arms, it was rather cute! The buffet is a really good spread and comes free with a special drink (alcoholic or none) besides the usual juices , tea and coffee available FOC. Go for it! This is an experience that everyone visiting sapporo for more than 3 days, MUST do ! Real value for money as the price covers bus tickets, a wonderful onsen experience in the outdoors and an awesome japanese buffet. The winter views at the onsen is incredible, and there are also japanese ladies who take the snow to massage their face and arms, it was rather cute! The buffet is a really good spread and comes free with a special drink (alcoholic or none) besides the usual juices , tea and coffee available FOC. Go for it! The tour is perfect and easy to redeem. The spa is excellent as well as the lunch buffet. Great value. It’s an excellent day trip to relax. The tour is perfect and easy to redeem. The spa is excellent as well as the lunch buffet. Great value. It’s an excellent day trip to relax. You cant miss this tour! Fantastic experience. Pick up location - Esta, Platform 12, Sapporo Bus Terminal. Do exchange your tickets one day before at TV Tower. You cant miss this tour! Fantastic experience. Pick up location - Esta, Platform 12, Sapporo Bus Terminal. Do exchange your tickets one day before at TV Tower. Facilities was clean and we loved the outdoor onsen! It was my friend's 1st onsen experience which I was a bit apprehensive on how it would turn out. My worries were unfounded as she loved it, thanks to the amazing experience at Mori No Uta. The lunch spread was fantastic as well. A well spent trip and would definitely arrange to go again if we are in Hokkaido again. Facilities was clean and we loved the outdoor onsen! It was my friend's 1st onsen experience which I was a bit apprehensive on how it would turn out. My worries were unfounded as she loved it, thanks to the amazing experience at Mori No Uta. The lunch spread was fantastic as well. A well spent trip and would definitely arrange to go again if we are in Hokkaido again. Great place & Nice buffet. there are Mini concert by sweet Harpist at the lobby. For 1st timer, Ladies, please bring your own make up set. Great place & Nice buffet. there are Mini concert by sweet Harpist at the lobby. For 1st timer, Ladies, please bring your own make up set.